The swim course is located in Elsinore’s old ferry terminal, and will consist of 2 laps of 950 meter . The location in the harbor provides calm waters and easy current for the participants. BIKE course is 45 km along the north coast and into the countryside. Athletes will do two laps on the course. The course is flat and fast, with a nice mix of city, coast and countryside. RUN course is 5.25 km long and winds its way through the beautiful promenade area in Elsinore. The scene is set to run from the harbor and around Kronborg Castle. 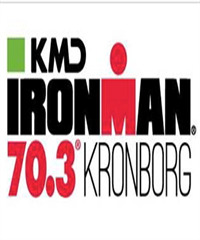 The course is flat, fast and with a few technical passages, The finish line is spectacularly located with Kronborg castle as a picturesque background .